Eyeonwater provides assessments of the water quality of most of European lakes from the Chlorophyll-A surface concentration retrieved from satellite-based observations. The sensor used today is onboard Landsat-7 (soon Landsat-8) in preparation of Copernicus (Sentinel-2). The number of processed lakes is continuously increased (at the moment, 674 lakes are available). 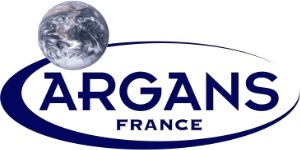 This website maintained by ARGANS (Eyeonwater@acri-st.fr) is prototypal and for validation purpose. For any feedback or questions, please, contact us. On the map below, the colour code indicates the water quality according to the Water Framework Directive. You can select a date to check global water quality since 04/2013. Displayed on the map, there are big and small markers. Big markers are less than 30 days older than the selected date. By clicking on them, you have access to the lake information, its thumbnail and available time series. Lastly, the interpolated map is only based on these markers. The current validation of our algorithms has been performed with data kindly provided by ONEMA and EDF (France). Note : The black lines on the thumbnails are caused by a technical issue on the Landsat-7 sensor since 2003. This issue does not occur anymore on Landsat 8 mission that will be used shortly by Eyeonwater service.